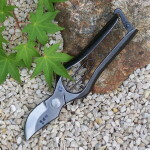 I want to share with you tonight, these few pictures of beautiful Japanese niwaki, which were forwarded to me by a faithful student of the School “NIWAKI Inspiration ZEN”, in the person of Jean-Luc (shared with his ​​permission, of course …). How not to be amazed and gape at such beauty and excellence …? 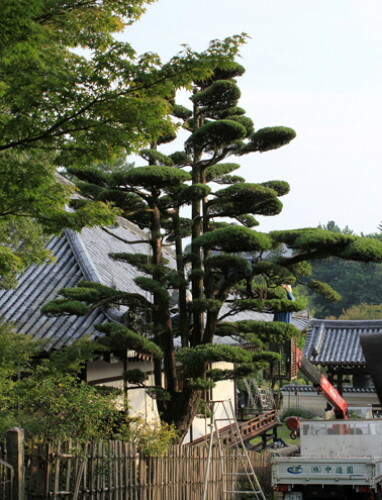 First, here’s a surprising and majestic multiple trunk “takanshitate” of podocarpus, photographed in Nara, which requires the use of a truck with a cherry picker to be groomed. Mind-blowing ! 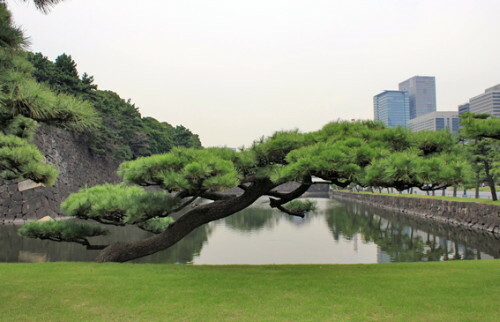 A beautiful specimen of black pine “windswept” or “shakukanshitate”, one of my favorite styles, photographed in Tokyo. 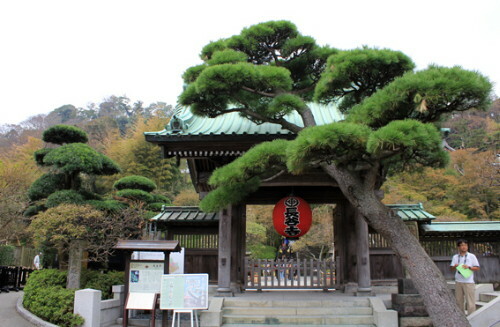 Another black pine in the same style, photographed in Kamakura. 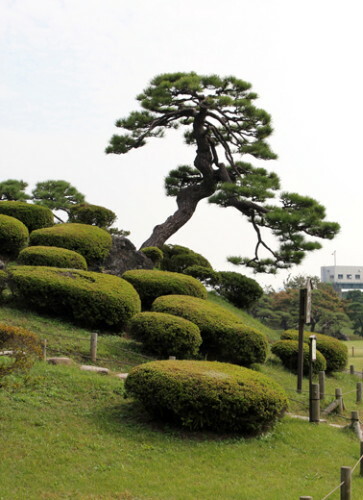 Another black pine, but here in the sinuous “kyokukanshitate” style, with a sculptural cascading branch is definitely worth seeing…! 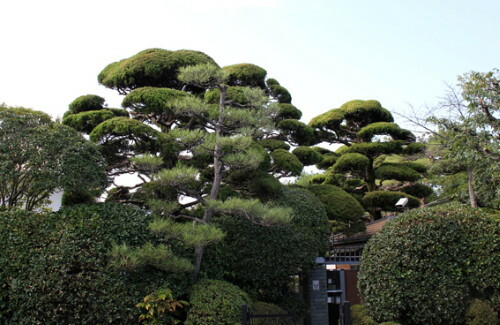 Huge niwaki of China juniper in “tamazukuri” style, with spherical masses of vegetation, photographed in Kyoto. These two, I recognized …! They are located near the Nanzen-ji temple. And finally, a little wink, sent by Ronny and his wife, came in July. Yes, it’s me – Frederique Dumas. 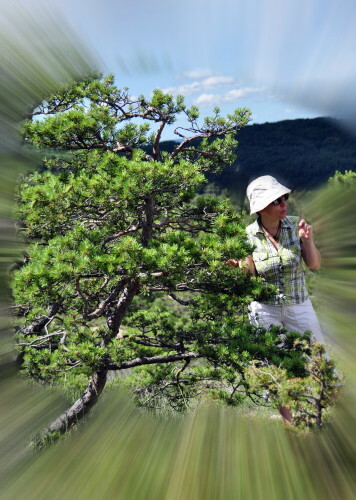 Hat and sunglasses, heat an sun required to get inspiration from nature ! Your teacher, who puts his passion at your service !